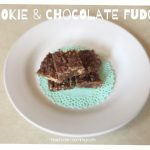 If a cookie looks as good as this one it’s a shame to eat it! Today is the last of 4 weeks of counting down to Christmas! 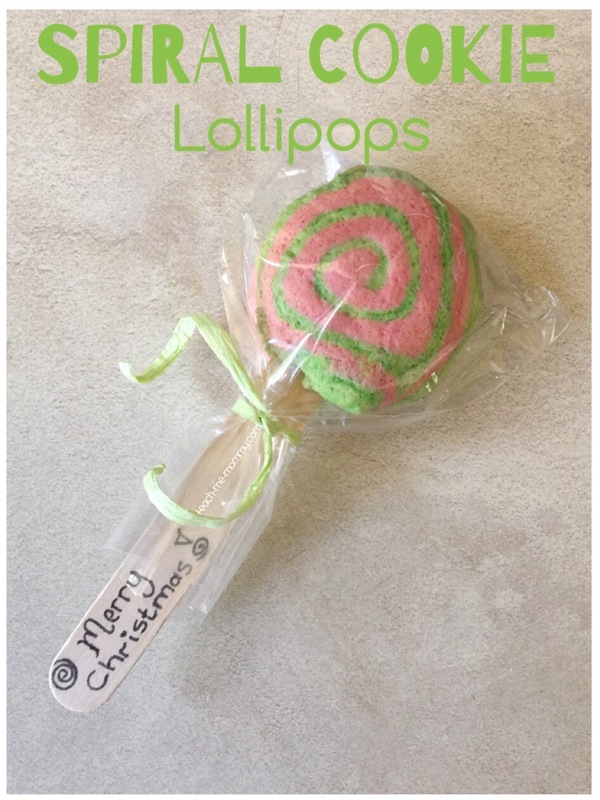 Be sure to check out the other bloggers Christmas treat ideas at the end of this post! 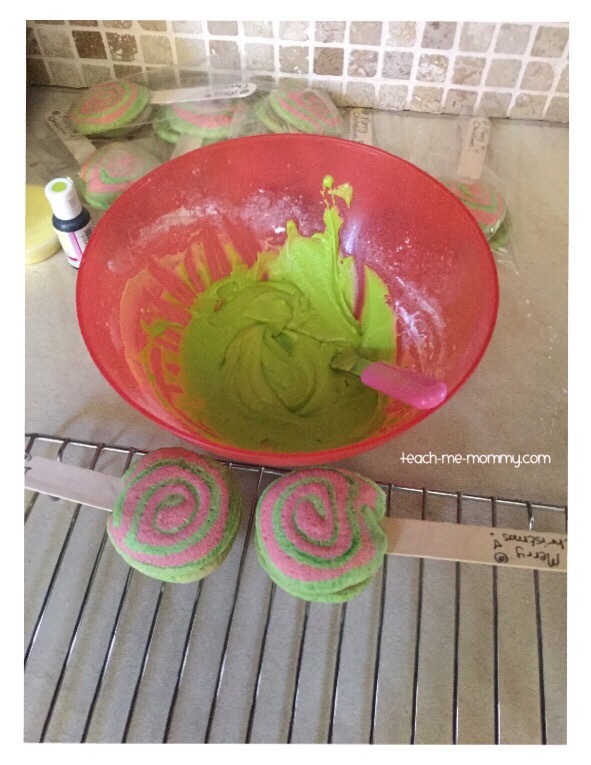 I used our sugar cookies recipe together with these instructions to make the spiral cookies. Basically you use two colours of dough, roll it out separately and place on top of each other. Then roll it up like a log. Cover with cling film and let it rest in the fridge for an hour. Lastly, cut it into circles and bake. 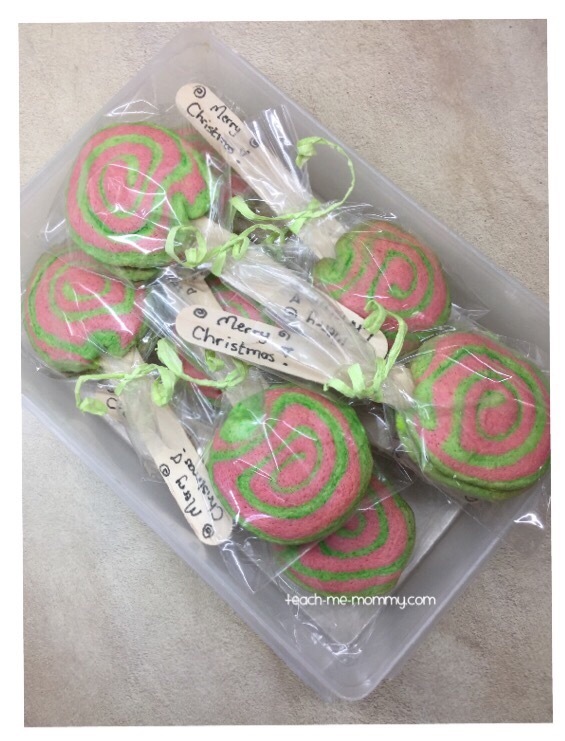 Then, I added green icing sugar to stick two cookies together with a thick craft stick in between. 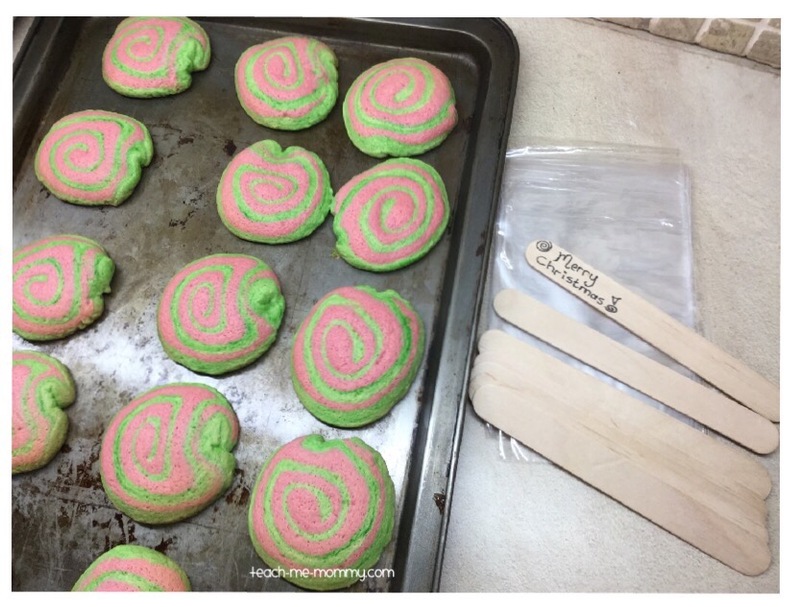 Confession: it was suppose to be a green and red for Grinch cookies, but it came out pink(liquid food colouring that was suppose to be red), but now it is Unicorn cookies! 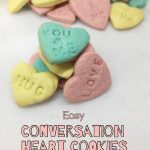 I gave these to a class I worked with at school this year, and they loved it! Such a fun idea! These would be perfect simple homemade gifts!